However much you’re enjoying planning your wedding, there are still likely to be a few jobs on your to do list that you’re not looking forward to. If the thought of planning your wedding tables is keeping you up at night, don’t worry. Whilst finalising your seating plan might seem like a tricky task, it doesn’t need to be stressful or complicated. I’m here to explain how to plan your wedding tables with a smile so read on for all you need to know. When you’re faced with a list of guests and you have to decide who’ll be sitting where, it can seem like a big job. However, it’s definitely a job that’s worth spending time on because if you get the balance of guests on your tables right, the atmosphere at your wedding will be absolutely fantastic. Whilst it might be tempting to ditch the seating plan and just let guests find their own seats, don’t! 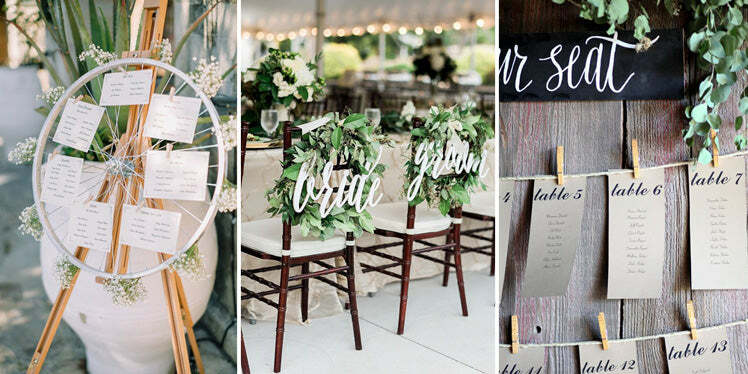 I promise you that a table plan is a true wedding must-have. Firstly, speak to your venue. Ask them for details of the various layouts and numbers that can be comfortably seated on each table. Don’t be tempted to cram people in or try to add more tables. Guests and waiting staff need space. Think about the style of wedding that you’re planning and decide what table shape works best. Long tables are super popular now and they’re actually really flexible as they can give a formal or communal dining feel. Round tables work well too as they allow guests to talk easily but what shape you choose is completely up to you. Don’t forget to consider you top table too. If your own personal family circumstances make the traditional top table format problematic, don’t feel that you have to stick to convention, especially if it’s going to make your family uncomfortable. Family members can ‘host’ their own tables if that’s easier or you can simply seat anyone you like with you on the top table – perhaps opt for bridesmaids and groomsmen rather than selecting certain family members so no one can feel left out. Another alternative to the top table is the sweetheart table. We’re seeing more and more of these here in UK and they can work really well. Here, the bride and groom sit together on their own table during the wedding breakfast and this is perfect if you want to guarantee yourselves some time together. If you have younger guests, you might want to think about having a children’s table. This allows the children to sit together (and you can tuck them away a little bit too if you like!) rather than being seated with the adults. Your caterers or venue can serve them individually and your adult guests have the opportunity to relax and enjoy their meals. Some games and activities on the children’s table will keep them amused during the speeches too! It can be tempting to ‘mix everyone up’ but really, is this a good idea? Lots of your friends and family will enjoy talking to people they’ve not seen for a while rather than trying to make conversation with people they don’t know. Grouping friends together does make for a great atmosphere. If you’ve got single guests or guests that don’t know anyone, do you best to make things easy for them. Try to seat single guests with your most welcoming friends and think about fitting personalities together. Lastly, if there’s family angst or issues to deal with, keeping guests apart physically can help. Use the space in your venue to seat them as far apart as possible. To help your guests find their seats, a great table plan is most definitely required. You can be as creative as you want here or stick to a more traditional plan if that suits your wedding day. Displaying your table plan during your drinks reception gives guests time to find their seating details well before they need to sit down and this can stop those pre-dinner queues! Alternatively, if you’ve got lots of guests, you might like to have two plans on display. Combine seating allocations with your wedding favours. Set out your favours and attach tags giving guests their table details. This encourages everyone to pick up their favours and it also helps keep your tables clear. Use items that guests will associate with you as the basis for your table plan. Attach seating details to bike wheels, old books, vintage records, gin bottles or anything that you love. Set out frames on an old ladder, table or on stacked wooden crates and then add flowers, candles, fairylights or old family photos for extra decoration. Mirror table plans look fantastic. Either pick up a vintage mirror or buy one and paint the frame to match your colour scheme. 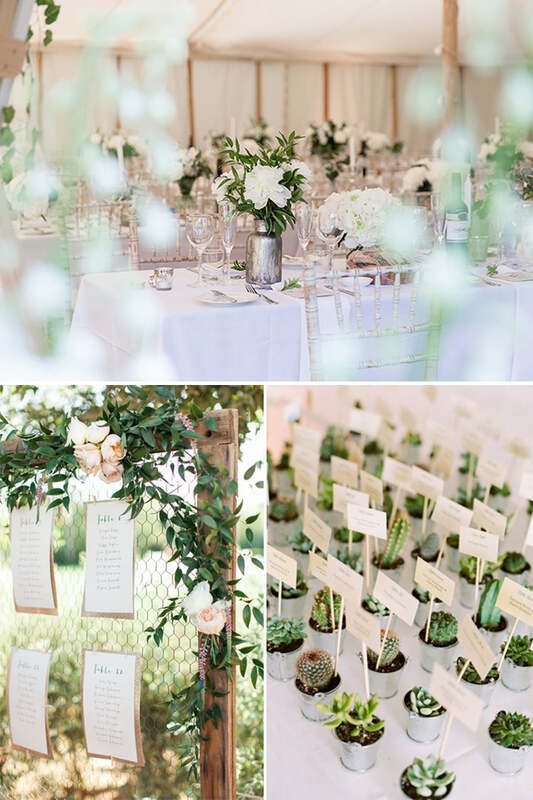 Write the table plan on the mirror and add flowers or greenery for a fab finishing touch.